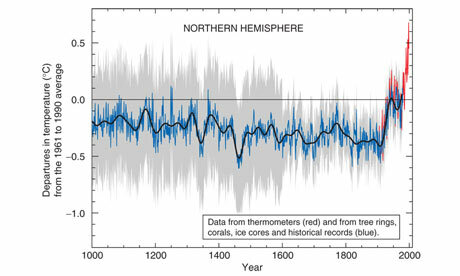 Michael Mann's now-famous "hockey stick graph" which incurred the wrath of numerous climate cranks. (source - IPCC). Research by Michael Mann confirmed the reality of global warming. Little did he know that it would also expose him to a vicious hate campaign. Full story here.